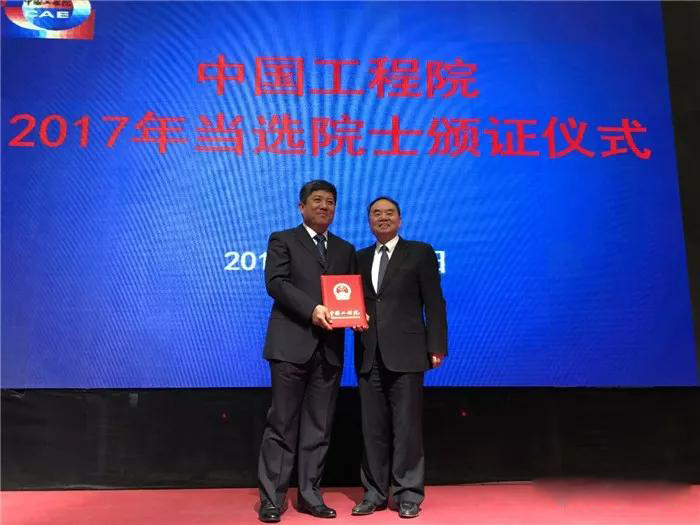 On November 27, He LIU, an Individual Member of ISBE and Professor of Research Institute of Petroleum Exploration & Development (RIPED), China National Petroleum Corporation was elected into the Chinese Academy of Engineering (CAE). CAE membership is China's highest title in the field of Engineering and Technological Science, and a lifelong honor. New members are recruited every two years. Prof. He LIU was born in Harbin city, Heilongjiang Province, and graduated from Daqing Petroleum College in 1982. At present, he is the Deputy Chief Engineer of RIPED. He is also the Chief Scientist of National High Technology Research and Development Program ("863"Program) of China. Professor LIU worked on the frontline of production and research for more than 30 years and made important contribution to enhance Oil Recovery of Mature Oil Fields and to efficiently develop the Low Permeability Reservoir and Complex Oil-Gas Reservoir. Several techniques, such as Intelligent Separate Layer Water Flooding and Efficient Synchronous Testing & Adjusting, have become the kernel for developing technologies in Oil fields.